The pH4 calibration solution is a calibration liquid for pH digital meters presented in handy individual sachets, very practical and cheap. This buffer solution calibration allows you to calibrate the pH to 4 in your pH digital meters. Handy single-use 20ml sachets to calibrate the pH to 4 in your digital meters. It is the most cheapest option to calibrate your pH meters. To be sure that your Marijuana plants develp and grow well it is crucial to have a strict control on the pH. 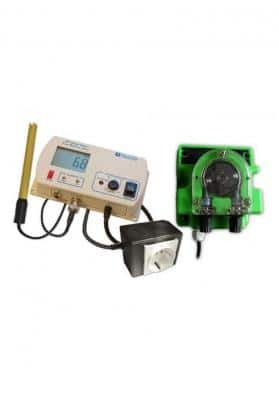 In this way, it is extremely important to carry accurate measurements, and therefore, extremely important to calibrate your pH meter monthly with calibration solutions like this one. Use pH4 calibration liquid like this, is practical and ecconomical, so you do not need to spend much to acquire individual sachets when needed.